Rolvenden Village is on the A28 just south of Tenterden.The market is held in the New Village Hall and St Mary's Church (located in the centre of the village on Maytham Road just off the High Street). 15 permanent and 2 seasonal. 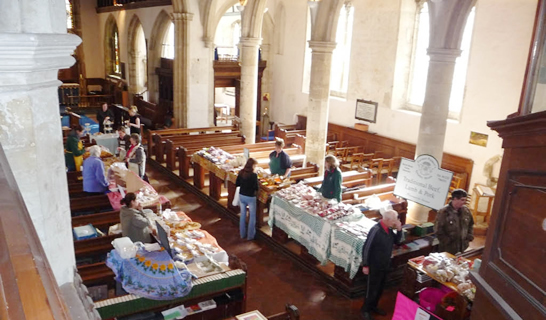 Rolvenden Farmers Market was established in 2000. It is run entirely by volunteers and is non profit making and stall fees are kept to a minimum. 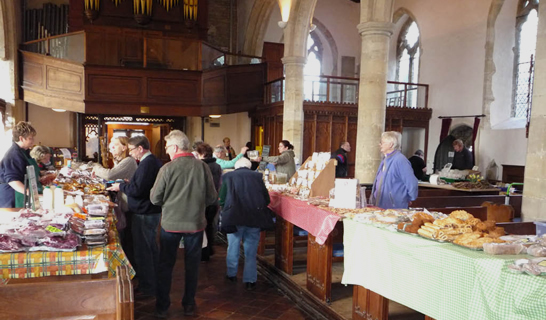 The Farmers' Market takes place every Thursday morning from 10.00am to 12 noon in St Mary's Church.There are normally 20 - 30 stalls with a selection of produce.